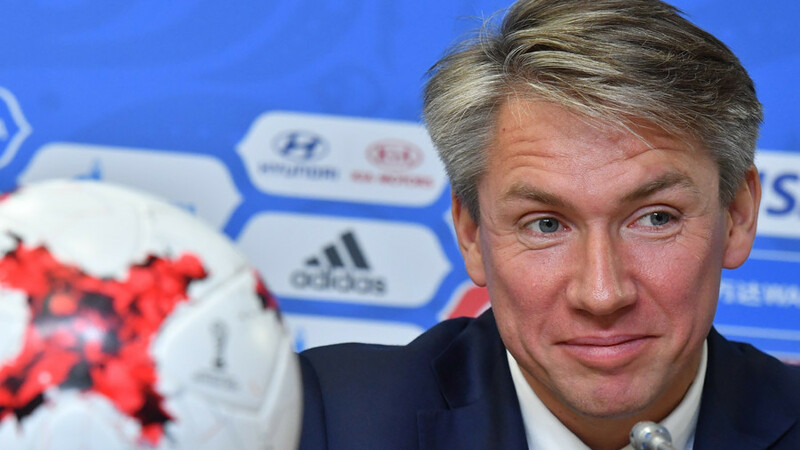 With 100 days to go until the FIFA 2018 World Cup, Stan Collymore sat down with Local Organising Committee (LOC) chief Alexey Sorokin to discuss Russia’s preparations for the tournament. The Russia 2018 World Cup kicks off in Moscow on June 14 when the host nation takes on Saudi Arabia at Luzhniki Stadium. 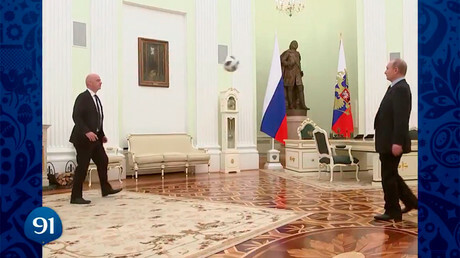 That day, says Sorokin, will be the fruit of labor that began with preparation to bid for the right to host the World Cup, which Russia won in 2010. Infrastructure has been of paramount importance as that World Cup curtain-raiser draws near; Volgograd’s eponymously named Volgograd Arena is still undergoing round-the-clock construction work in a race to be ready for the tournament. Sorokin assures all is going to plan. “We have six stadiums that are operational. [Recently] another stadium came into operation, has been commissioned, the stadium in Ekaterinburg, which is good news,” Sorokin said. “The remaining ones are being finished as we speak – there’s only a few weeks before they will be fully completed. 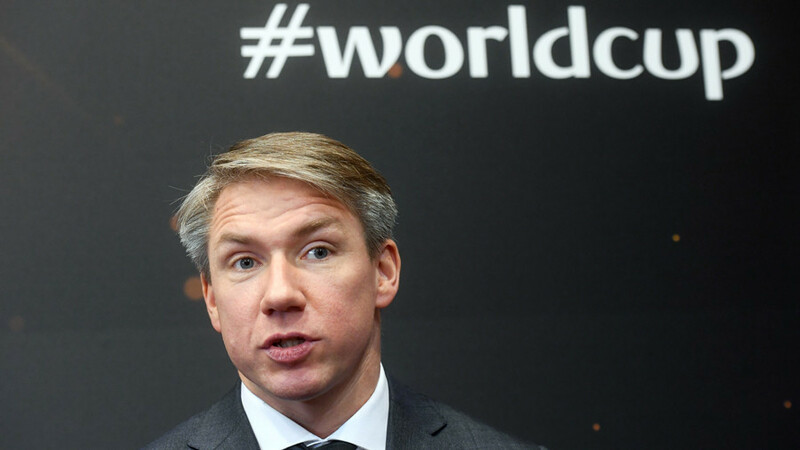 Sorokin, who also holds Russia’s only seat on the FIFA Council, was speaking at the Team Workshop for the Russia 218 World Cup in Sochi, where delegations from the 32 qualified teams met for one of the last World Cup events before the tournament. Sochi will host five-time World Cup-winners Brazil and Robert Lewandowski’s Poland, with the rest of the teams based primarily in the 11 World Cup host cities, with only six additional camps for team bases. According to Sorokin, there have been “no complaints” regarding accommodation. “In terms of the team base camps, so far there have been no complaints. We are led to believe that teams are happy. Of course, in certain instances there are some works which still need to be done, but in general teams are quite happy. Fan safety is also key to the Russia 2018 tournament. On February 20, the first FAN ID needed for foreign football fans to attend the FIFA World Cup in Russia was issued in Finland. The IDs will act as a visa for foreign fans and is required to gain access to games. An added bonus of the initiative is ensuring tickets do not fall into the wrong hands which, Sorokin explained, is part of a wider security system. “We put together a very robust security concept. Of course, it’s mostly the merit of our law enforcement agencies. There is a very good level of inter-agency cooperation. There is a special police task force where policemen of various countries come together and we are really happy to see that kind of cooperation. “It’s mostly in the area of how not to allow people who are on the watchlist a people who have a history of certain behavior, etc., but also includes other areas of cooperation. So far, we have managed to organize events without any kinds of incidents, we hope to carry on this success story,” he added. Video Assistant Referee (VAR) technology is set to be implemented at Russia 2018. The system assists the referee with replays of game-changing decisions, such as red cards, goals, penalties and mistaken identity. VAR has divided opinion in the football world, with many observers claiming the technology slows the game down, along with a number of incidents that have called the system into question since its introduction at the 2017 Confederations Cup in Russia last summer. However, Sorokin says that the introduction is something Russia will get fully behind, despite its controversy. “If it happens, we will certainly be assisting in implementing it. But that the decision of FIFA it's hard for us to comment on this decision. If you ask me personally, I am in favor of VAR. But again, it’s their decision and we’ll play along,” he said.